Norwegian Cruise Line’s new South America itineraries for 2015/16 are open for booking beginning today, along with alternating Eastern and Western Caribbean cruises from Port Canaveral, Florida, and select Eastern and Panama Canal cruises from Miami. Norwegian Sun will return to South America for the first time since 2010, sailing 14-day South American voyages between Santiago (Valparaiso), Chile and Buenos Aires, Argentina from November 4, 2015 to March 26, 2016. Ports of call include Puerto Montt, Chile; Puerto Chacabuco, Chile; Punta Arenas, Chile; Ushuaia, Argentina; Stanley, Falkland Islands; Puerto Madryn, Argentina; and Montevideo, Uruguay. Guests on board will also enjoy a scenic cruise through the Chilean Fjords, Strait of Magellan and around Cape Horn. Fares start at $1199 per person. Norwegian Sun will also offer several other itineraries from the West Coast in the fall of 2015, including: a four-day Pacific Coastal from Vancouver on September 28, 2015; three 11-day Mexican Riviera cruises from San Diego; a 17-day voyage to South America from San Diego on November 4, 2015, including an overnight in Lima, Peru, with an optional overnight excursion to Macchu Picchu; and a 20-Day South American Explorer cruise from Santiago (Valparaiso), Chile to San Francisco on April 9, 2016, also offering an optional overnight excursion to Macchu Picchu. Returning to the Caribbean from Europe, Norwegian Spirit will offer alternating seven-day Eastern and Western Caribbean itineraries departing Port Canaveral, Florida every Saturday from November 21, 2015 through April 16, 2016. Norwegian Spirit’s Eastern Caribbean itinerary visits Nassau, Bahamas; St. Thomas, U.S. Virgin Islands; and Tortola, British Virgin Islands. The ship’s Western Caribbean itinerary will include stops in Cozumel, Mexico; George Town, Grand Cayman; Ocho Rios, Jamaica; and Norwegian’s private island, Great Stirrup Cay, Bahamas. Fares start at $499 per person. Guests can also book the ship’s Transatlantic voyage from Barcelona to Port Canaveral, a 16-day itinerary departing on November 5, 2015, with ports of call in Madeira, Spain; St. John’s, Antigua; Basseterre, St. Kitts; Philipsburg, St. Maarten; and St. Thomas, USVI. Fares for the Transatlantic cruise begin at $699 per person. Guests looking to sail the Eastern Caribbean from Miami have two additional itineraries available for booking today aboard Norwegian Pearl: an eight-day cruise departing on January 2, 2015 that also includes a stop at Norwegian’s private island in the Bahamas, Great Stirrup Cay, as well as a seven-day voyage departing on February 6, 2015. Fares for both cruises begin at $499 per person. Also on sale today is an 11-day roundtrip Panama Canal cruise from Miami in fall 2015 aboard Norwegian Pearl that will include a stop at Norwegian’s new island in Belize, Harvest Caye. Departing on October 18, 2015, the itinerary includes ports of call in Cartagena, Colombia; a daytime transit of the Panama Canal; Puerto Limon, Costa Rica; Banana Coast, Honduras; Harvest Caye, Belize; and Costa Maya, Mexico. Fares begin at $1049 per person. Norwegian will have three ships sailing seven day or longer cruises from Miami in the fall and winter of 2014/2015, including Norwegian’s newest ship, Norwegian Getaway, sailing year-round to the Eastern Caribbean on seven-day cruises every Saturday. Miami’s newest ship will visit Philipsburg, St. Maarten; St. Thomas, U.S. Virgin Islands; and Nassau, Bahamas. Norwegian Epic returns for her fifth season in Miami, sailing a series of seven-day Western Caribbean cruises from November 9, 2014 to April 19, 2015. Departing on Sundays, the ship’s new, three-port itinerary features calls in Ocho Rios, Jamaica; George Town, Grand Cayman and Cozumel, Mexico. Offering longer cruise options, Norwegian Pearl is set to embark on alternating 10-day Eastern Caribbean and 11-day Southern Caribbean cruises between October 20, 2014 and April 6, 2015. Norwegian Pearl’s 10-day itinerary features stops in Tortola, British Virgin Islands; St. John’s, Antigua; Fort-de-France, Martinique; Basseterre, St. Kitts; and St. Thomas, U.S. Virgin Islands. The new 11-day itinerary calls on St. Thomas, U.S. Virgin Islands; Basseterre, St. Kitts; Castries, St. Lucia; Willemstad, Curacao; and Oranjestad, Aruba. Norwegian Sun will arrive in Tampa for the first time and sail seven-day Western Caribbean itineraries departing every Sunday from October 19, 2014 to April 12, 2015. Ports of call include: Roatan, Bay Islands Honduras; Belize City, Belize; Costa Maya and Cozumel, Mexico. In 2014, Norwegian will return to Houston, Texas with the arrival of Norwegian Jewel, sailing a series of Western Caribbean cruises from October 11, 2014 through April 11, 2015. 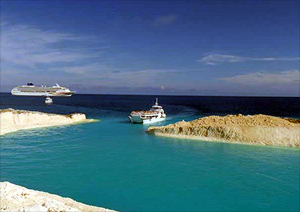 Ports of call include: Cozumel, Mexico; Belize City, Belize; and Roatán, Bay Islands Honduras. Norwegian Dawn will make her debut in New Orleans on November 23, 2014, offering a series of 21 seven-day Western Caribbean cruises through April 12, 2015 with stops in Roatan, Bay Islands Honduras; Belize City, Belize; Costa Maya and Cozumel, Mexico. Norwegian will increase the number of Mexican Riviera sailings in 2014, offering a series of seven-day cruises from Los Angeles, California on Norwegian Star from November 30, 2014 through December 28, 2014. Norwegian Star will then return to the Mexican Riviera in 2015 between March 1 and April 12, 2015. Ports of call include: Cabo San Lucas, Mazatlan and Puerto Vallarta, Mexico, along with three relaxing days at sea. Norwegian Star will also sail seven Panama Canal cruises between Miami and Los Angeles or from Los Angeles to Miami in 2014 and three additional Panama Canal sailings in 2015. On April 20, 2014, Norwegian Jewel will sail a 15-day Panama Canal cruise from New Orleans to Los Angeles, followed by a five-day Pacific Coastal voyage from Los Angeles to Vancouver, British Columbia on May 5, 2014. On September 20, 2014, Norwegian Jewel will sail a five-day Pacific Coastal voyage from Vancouver, British Columbia to Los Angeles, followed by a 16-day Panama Canal cruise from Los Angeles to Houston departing on September 25, 2014. Norwegian Pearl will sail a 15-day Panama Canal cruise from Miami to Los Angeles on April 18, 2014, followed by a seven-day British Colombia and US West Coast cruise from Los Angeles to Vancouver on May 3, 2014. The ship will depart Vancouver on September 28, 2014 on a five-day Pacific Coastal cruise to Los Angeles, followed by a 14-day Panama Canal sailing to Miami on October 3, 2014. 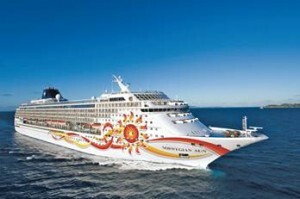 Norwegian Sun will depart Miami on April 28, 2014 on a 15-day Panama Canal voyage to Los Angeles, followed by a six-day Pacific Coastal cruise from Los Angeles to Vancouver on May 13, 2014. The ship will depart Vancouver on September 29 as it embarks on a five-day Pacific Coastal cruise to Los Angeles. On October 4, 2014, Norwegian Sun departs Los Angeles on a 15-day Panama Canal cruise ending in Tampa. Norwegian Epic will make two transatlantic voyages: an 11-day sailing on April 27, 2014 from Miami to Barcelona and a 14-day cruise October 26, 2014 from Barcelona to Miami. Norwegian Star will also make two transatlantic crossings: a 14-day from Miami to Copenhagen on May 5, 2014 and a 14-day voyage from Copenhagen to Miami on October 6, 2014. Norwegian Dawn will reposition from Tampa to Boston on April 27, 2014 and sail a 12-day Caribbean Escape with stops in George Town, Grand Cayman; Oranjestad, Aruba; Willemstad, Curacao; Philipsburg, St. Maarten; and St. Thomas, U.S. Virgin Islands. On November 7, 2014, Norwegian Dawn will reposition from Boston to New Orleans and sail a 14-day Caribbean Escape with ports of call to include San Juan, Puerto Rico; Willemstad, Curacao; Oranjestad, Aruba; Ocho Rios, Jamaica; George Town, Grand Cayman; and Cozumel, Mexico. MIAMI – February 8, 2011 – Norwegian Cruise Line announced today that it has completed the first phase of enhancements at Great Stirrup Cay, the line’s 250-acre private island in the Bahamas. On Thursday, February 3, the company opened the new marina and dining facility on the island, representing a significant milestone in the more than $20 million enhancement project currently underway. Norwegian Sky’s 2,000 guests were the first to experience the opening of the marina basin with four docks for the island’s tenders and the new 8,500 square foot dining facility, complete with two bars and four picnic pavilions. The marina is approximately 12 feet deep at low water and is home to the island’s four tenders. It took more than eight months to excavate the basin and the entrance channel. The dining facility includes a central pizza making station, two grills, hot and cold food stations, as well as fresh fruits and breads. There are two full bars on either side of the facility for added convenience. The four pavilions, each more than 1800 square feet, offer picnic tables with a total seating capacity for more than 500 guests. The second phase of enhancements includes an arrival/departure pavilion, additional bar facilities; several comfort stations; a band stand; cruise program activity area; private beachfront cabanas; a kid’s play area; straw market; and beach volleyball courts. The beachfront will continue to be expanded on the island’s west end. Click here to view brochure! MIAMI – May 17, 2010 – Norwegian Cruise Line announced today that its largest, most innovative Freestyle Cruising ship to date, Norwegian Epic, will feature a pre-cruise online reservation system for select on-board entertainment. Norwegian Epic is changing the face of cruise line entertainment with unprecedented and world-class on-board entertainment including Blue Man Group, Cirque Dreams™ & Dinner, The Second City® Comedy Troupe, Legends in Concert, Howl at the Moon Dueling Pianos Show and Nickelodeon™ at Sea. To book tickets for many of these stellar performances, Norwegian Epic guests can pre-book reservations prior to their cruise. Booked guests can go to the Norwegian website, www.ncl.com, log in to the “My NCL” section and visit a special entertainment page where they can select and reserve their desired performance. Pre-booking will be available for performances of Blue Man Group, Cirque Dreams & Dinner, Legends in Concert, The Second City Comedy Troupe, Nickelodeon™ Slime Time Live!, Breakfast with Nickelodeon™ and the Murder Mystery “Presumed Murdered.” Guests may make a reservation for each show once per sailing. Online bookings open 45 days prior to sailing date. Reservations for entertainment events with no cover charge are valid until 10 minutes prior to the scheduled start time. At that time, all unclaimed reservations with be released to guests on a first come first serve basis. Cancellations of reservations for entertainment events which have a cover charge must be made no later than 24 hours prior to the scheduled start time to receive a full refund. If cancellation occurs with less than 24 hours notice, the full price of the ticket will be charged. Once on board, guests may still make reservations for available shows through the ship’s iTV system or by contacting the Box Office. Guests will have many entertainment options and venues to choose from on board Norwegian Epic. Blue Man Group will perform eight shows per sailing; Legends in Concert, six performances; Legends Unplugged, three shows; Nickelodeon SlimeTime Live, three shows; Cirque Dreams & Dinner will be performed 12 shows per cruise; Second City, 14; Howl at the Moon, four shows; and there will be Breakfast with Nickelodeon on three mornings per sailing. Amongst the 13 entertainment venues is the first big top at sea, the Spiegel Tent, which will be home to Cirque Dreams & Dinner, created and directed by Neil Goldberg. A special Murder Mystery, called “Presumed Murdered,” presented by The Second City will also be featured in the Spiegel Tent one time per cruise.